Bosherston has become famous for its lily ponds. They are located on the south-eastern side of the Castlemartin Peninsula. 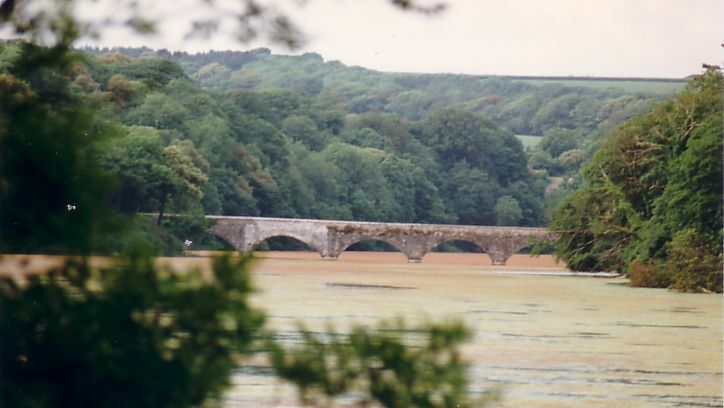 They were formed by the Stackpole Estate in the 18th-19th centuries by blocking three narrow limestone valleys and they are now protected as a nature reserve. As well as being noted for its otters, waterfowl and water lilies, the Ponds have good stocks of coarse fish, particularly pike and tench, with roach, perch, and eels also present. Fishing is by permit only which are available from Ye Olde Worlde Café, Bosherston. It is within the Pembrokeshire Coast National Park. Bosherton Fort and nearby is the secluded Barafundle Bay with its wide expanse of sand and usually few people. From Pembroke take the B4319 and take the turning on the right to Bosherton between St Petrox and Merrion. From the car park follow the path across footbridge. Lily Ponds and nearby sandy Barafundle Bay.